NOW Real Food Organic Flax Seeds have a mild, nutty flavor similar to wheat germ, and they’re often added to cereals, pancakes, muffins, breads, meatloaf, meatballs, and even yogurt. 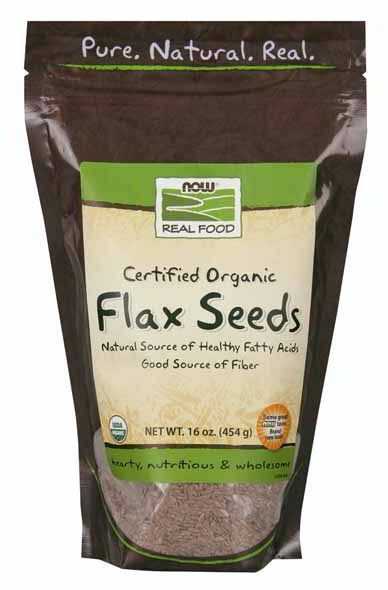 Flax is a natural plant source of healthy fatty acids and a good source of fiber. Because you are what you eat, NOW Real Food has been committed to providing delicious, healthy, natural and organic foods since 1968. We’re independent, family owned, and proud of it. Keep it natural. Keep it real.